KCBC would like to wish you all a Merry Christmas! To help celebrate this occasion, why not read our Michaelmas 2016 issue of Henry’s VIII? The newsletter is now available here. We hope you enjoy reading it! Well ahead of time, slightly nervous but excited for the race and equipped with Stan’s customary supply of peeled mandarins and sweets, W1 was ready for Fairbairn’s. Under the cheers of MAlumni we set off from the boat house and paddled down towards Jesus lock. However, quite quickly it became clear that there was an acute lack of marshals, and so we and a handful of other clueless crews ended up rowing/backing it down the same 20m-stretch of the river for the next hour or so before the first marshals arrived. We passed the time singing Christmas carols, although arguably with only three or four people making a committed effort, while the rest were silently battling the creeping hypothermia. 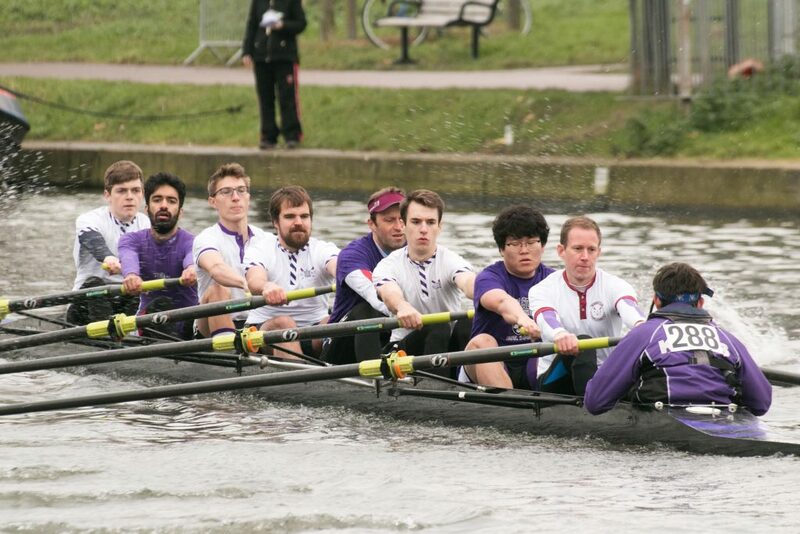 As the line of marshalling boats finally started taking shape, MAlumni went past us and swiftly took off – clearly having gauged marshalling times better than us – whereas we had to wait for what felt forever until our number came up. Just as we were ready to join the queue at the starting line, we had to pull in for a last-minute pee-break kindly hosted by ‘Maggie’. After that the queue finally started moving and the race could begin. We took off with a nicely controlled rolling start and settled for a consistent rate 33/34, which we kept up for the entirety of the course. Seeing the other boat houses go by and our own coming into sight was a mixture of relief and pain, knowing just how much was still left of the course – as someone had nicely put it before the race, once you’re gone past our boat house ‘it’s basically just a normal outing’. Already as we were approaching Green Dragon Footbridge it was clear that we were catching up with Jesus W2, whom we were chasing; and just before the Railway Bridge we began our overtake manoeuver. Jesus cleared the way for us and we overtook without any problems, having left them far behind by the end of the Reach. The next few corners passed uneventfully, until we came up to the final stretch before the Motorway Bridge. 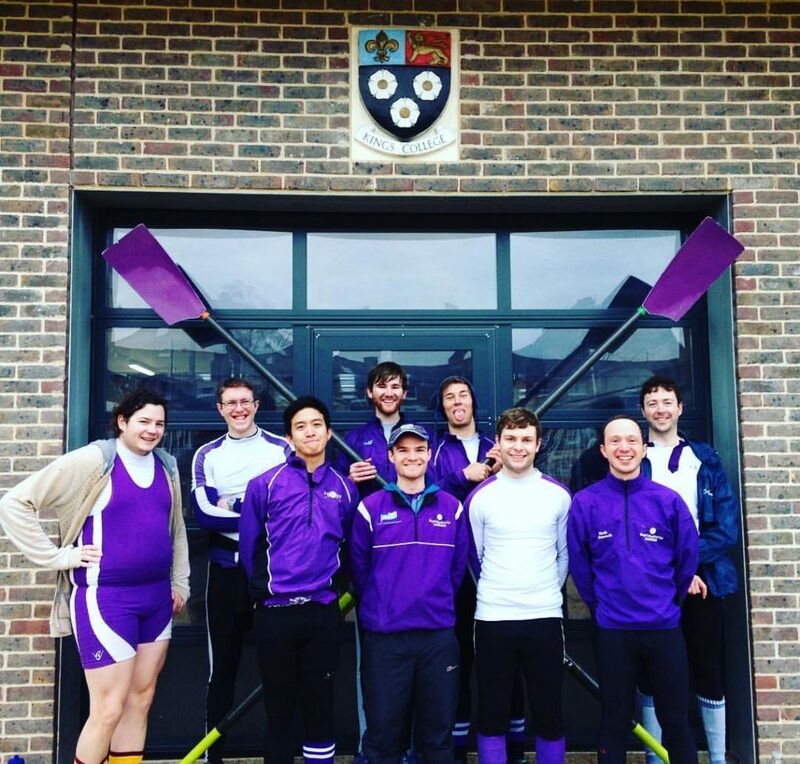 We were all absolutely shattered, our stroke intermittently letting out unintelligible cries, and everyone was just waiting to be allowed to drop their oar, when we got a completely unexpected and very effective boost from MAlumni, who had assembled under the bridge. Under the lead of last year’s captain, whom we had never before seen so wildly boisterous anywhere near a boat, the men gave us a massive cheer and our boat immediately picked up, to our own surprise I think. We finished the last 100m or so after the bridge on a high with a strong Power 10, and then finally completely collapsed as soon as we pulled in. The time waiting for our row back home we spent coughing, recovering and chatting to the Selwyn Alumni crew pulled in next to us (strictly speaking we weren’t pulled in on the bank, but on the Selwyn boat), and by the time we were ready to push out again we were discussing the technical details of rowing back as a catamaran. We agreed to leave this experiment for another time and settled for a non-capsize-risky row home. Our coach being pragmatic as ever decided to start Lent training early to get a head start on the other crews and has us do Power 10’s on the way back to the boathouse. We made it back all in one piece and, agreeing that it had been a very good race, we decided to leave the race talk outside and turn instead to our well-earned post-race indulging – that is, Ellen’s masterly and lovingly made brownies. They tasted all the better after a race like this. The alumni rower is a strange beast. Every year, around October time, the head of the pack (also known as Chris Braithwaite) tires of only frequenting the banks of the River Cam, and yearns to return to his natural habitat of being in a boat on it instead. He therefore takes to The Facebook to make The Summons. Most other alumni are wise enough to resist the call, but presumably old age is starting to affect the memories of some of KCBC’s alumni. What other explanation could there possibly be for another eight of these alumni rowers answering The Summons. And what are they being summoned to? Why, none other than the opportunity to put their creaking old bodies back in a rowing seat to show the young ones how it was done in “The good ol’ days”. Some say it can only be described as an act of masochism, but Jesus like to call it the Fairbairn Cup. And so it came to pass that on the morning of Friday 2nd December, nine KCBC alumni were meeting and greeting each other, some for the first time, some coming together as only old friends can. The new Boathouse and Mays room provided an excellent opportunity to reminisce over just how unfit for purpose the old Boathouse had been, and the Fitness room was a terrific location for some of the number to reacquaint themselves with an old enemy; a Concept II Ergometer. A short warm up was all that was required to refresh everyone’s memory as to why they’d been avoiding ergs for so long. They then proceeded to wait for the return of M1, and with them, the delivery of the vessel in which MAlumni would grace the Cam. As per usual, Fairbairns was not running on time, but unlike the student boats around, the KCBC alumni knew there was no need to rush, and so boated at a much more leisurely pace. Once on the water however, Will Miller’s coxing prowess quickly had people settling into a productive, albeit short, warm up on the way to the start. Several marshals foolishly attempted to tell Will where to go, obviously not aware that he’s a veteran of the Fairbairn Cup, and so the boat was soon efficiently tucked in to the correct marshalling spot. Come the start of the race, the crew had yet to tackle race pace, so it came as a pleasant surprise when a comfortable rate 33 and pretty fast rhythm was achieved by pack leader Braithwaite at Stroke. This gradually settled onto about 32 coming past the King’s Boathouse, and the crew did well to keep the boat ticking along quite happily until Chesterton corner. Inevitably though, a general lack of training began to show, and boat speed began to wain slightly. Thankfully, it was at this point that Will was able to announce that significant gains had been made on the Jesus alumni crew in front. Unfortunately, the fitness levels of the crew weren’t quite enough to materialise a speedy overtake, so a more steady grinding down approach had to be adopted. Continuing to rate in the low 30s, gradual gains were made all the way down the long reach, to the point where the overtake finally took place on Ditton corner. 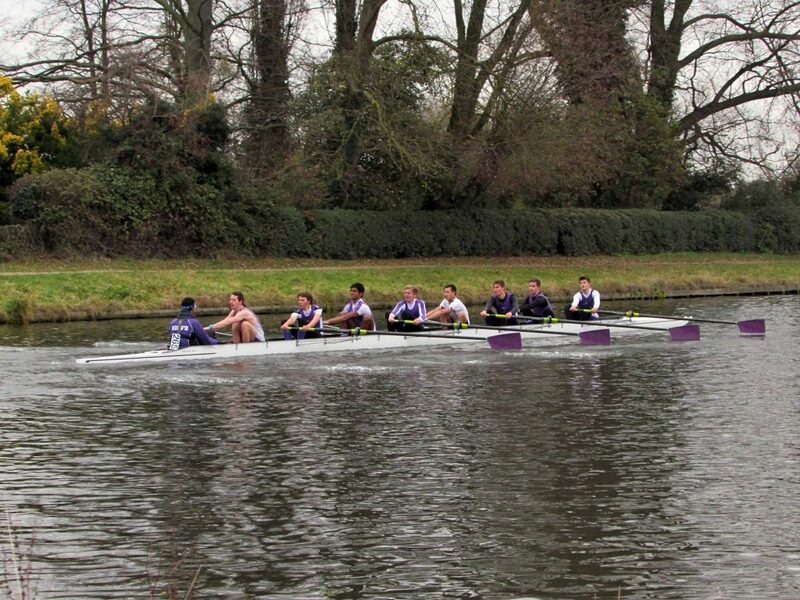 Both coxes managed their boats admirably to avoid any blade clashes, for which MAlumni were definitely grateful. Onwards around the corners, pushing off the Jesus Disciples crew provided some essential motivation, and soon enough the final straight was ticking by. Just as exhaustion was setting in, the finish line was finally reached, and MAlumni were able to pull in and wait for the long row home. During the wait, it became apparent that there had been five past KCBC Captains in the boat, or six if you count the two times Mark Hancock was Captain! The row home was solid, as the crew were keen to enjoy a well-earned drink in the pub. The morning started well, with a solid warm-up paddle from the Boathouse to Jesus Lock. Every member in the crew was focussing-in and committing to every stroke. We were moving well together – getting in sharp at the front end, gripping and levering the boat past. Around the back end, you could feel the crew rocking over together, allowing the boat to run. Our marshalling position was just under the Victoria Avenue Bridge. The “thud-thud” of cars passing overhead sounded like a heartbeat. Needless to say, this didn’t help with nerves! I reassured myself by thinking how far this crew had come in 8 weeks of training. Four outings a week, with two training days at Kingston upon Thames, and not a single water session missed. Despite our inexperience at the start of term, as a crew we had committed to the training – as Men’s Captain, I could not have asked for anything more. Outside Goldie Boathouse we came to frontstops, squared, buried, locked our blades against gates, and wound the boat up to the high 30s. It was an impetuous start – scrappy, but not lacking enthusiasm. It took us until the Combined Boathouse to really settle and move together as a crew. 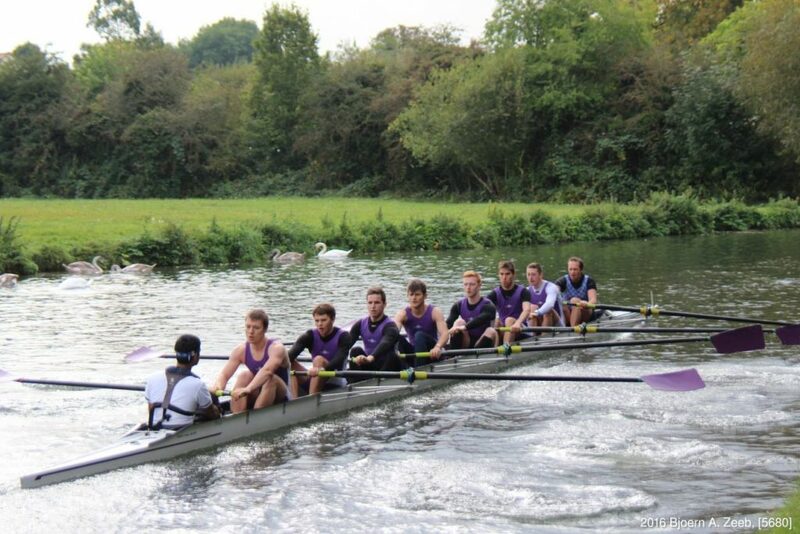 The next stretch, from the Boathouse to Chesterton Corner, was the fastest of our race – we were flying. Unfortunately, we were unable to sustain this speed in the second half of the race. As we became more tired, we lost our form and the rowing became more laboured, rating at around 32. We responded well to calls to lift the boat speed, especially when it came to First Post Corner. Hrutvik’s “legs” call worked so well that we wound back up to 36. After a huge last effort, we flung ourselves across the finish line in a time of 15:49.1, 17th out of the Cambridge College crews. While 10 places down on last year’s result may seem disappointing, the truth is it was a huge improvement on where we started term. 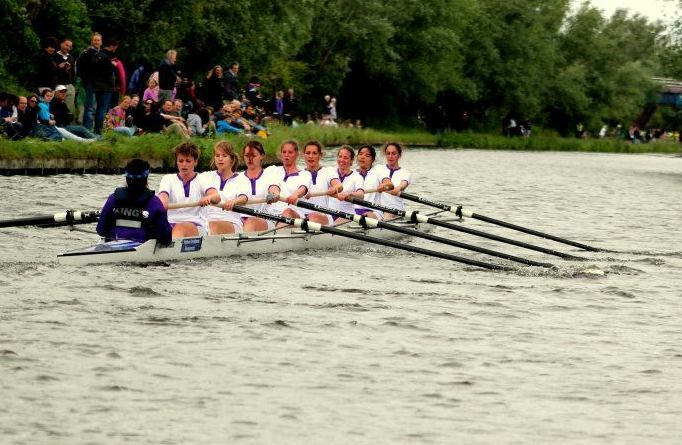 Going into Lent term, we are 0.4s off the pace of Churchill (over 4.2km), who are in front of us in Bumps. We are grateful to all those who came down to cheer us on – especially Will Miller and Chris Smith, who carried our kit. He jammed the spoon deep into the dark ominous medium, the crew took a sharp intake of breath. – This is it boys! For months the crew had endured a gruelling program of physical and mental torture in preparation for this moment, the growing dread occupying our minds every waking hour. This was it! Time to face our greatest fear, stand up and be counted! Over the minutes that followed the crew battled valiantly together to overcome the herculean task confronting us. Defiantly we faced the purgatory together, and with each stroke of the spoon heaved ourselves one step closer to absolution from the dastardly horror. – Keep going! Hold on! We are almost there! – howled another. Finally after what seemed like an eternity of moans, groans and desperate wailing the last spoon-stroke was complete and the crew collapsed in a sobbing heap of destitute sobbing bodies. Victory! Absolution! Perdition! 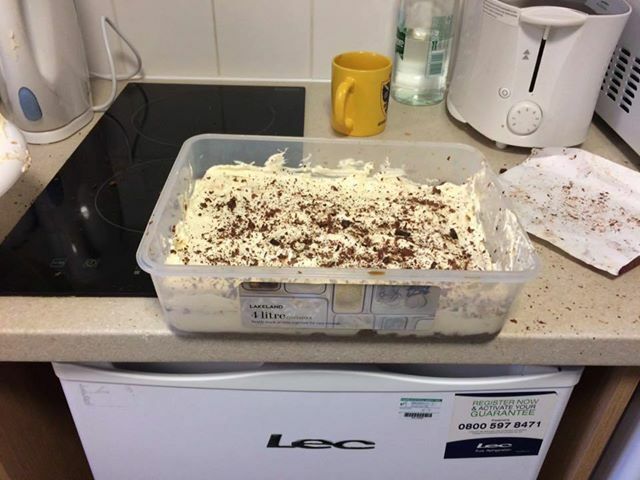 Charles’s tiramisu was finally finished! This triumph of good over evil in the conquest of the tiramisu brought a fitting end to a tempestuous and exhilarating term for the St Kilda Soay Sheep Project, also known as King’s M2. Immediately prior to that, we had as means of a warm-up, raced the Fairbairns course, from one end of the river to the other. We started the race strongly with two boat-stopping crabs. It improved after that. Jasper and Charlie in stern pair established a powerful rhythm under the command of our task-master and chief tormentor Charles from the cox’s seat. In the engine room Shaun, myself, Connor and our super-Tallented sub Mike rallied to back them up. At the bows Jaza and Matt held things together with stoicism and precision and with every stroke accelerated the boat through and bravely brought us closer to our impending tiramisu-induced moment of reckoning. It was a growing effort, perhaps as the crew became more familiar and settled as the race progressed, and in particular the final push towards the motorway bridge was a sweet moment of boatie joy. The eventual result placed us 7th out of 13 2nd boats, critically ahead of both Churchill and Selwyn – to our knowledge none of the boats in our division had a tiramisu waiting for them discouraging them from finishing the race. In summary: plenty of positives to build on heading into Lents. Several crew members have been seen putting in the hours on the ergs, in the weights room and on the river and rumour has it that Charles has been working hard on his baking, and will next term produce a Victoria Sandwich that can knock out an Indian elephant. Will he again use a butter knife to grate the chocolate? And if so who puts chocolate on a Victorian Sandwich anyway?! We went into Fairbairns with high ambitions. With determination to put “stay on your side” Caius back in their place, and show the rest of the corrupt capitalist colleges who’s boss. Our entire rowing careers had been building to this point. Months of carb loading on Sainsbury’s £4.50 pizzas, weeks of no lifting, and all of bow 7 staying t-total for the two formals in the week before. Our stash had been ordered, 8, size 12, woman’s t-shirts in lilac, a snug fit. We were ready. A standard 4:30 (7:03) meet in the bar, to depart on our journey to glory. First stop, Maccys. Sausage and egg mcmuffins would fuel our victory. The long nervous walk to King’s Boathouse was completed in silence, in boat order. On Ed. We arrived to a nervous wreck of coaches, besides Hrutvik, who remained militant as ever. He slammed us on the ergs, got us rowing at steady state, and whispered the words “carpè diem” to his eight loyal soldiers. 15 minutes from push out, and it was time to get the boat. We slowly and carefully slammed it down into the river as usual, pushed off, and began our journey down to marshalling. Each novice crew that we passed would turn silent, staring in awe at our smooth steady state – and the chest hair sprouting out of Kozzy’s ‘stash’. We drifted up to the start line listening only to the gentle “kushum” of our perfectly in time strokes. After giving Emmanuel (the boat in front of us) a minute’s gap, we began. 3 draws, 5 winds, and 2 lengthens later, we had reached our rate. 34. We stormed off down the river, in the hope that we had what it takes to become the Fairbairn 2016 champions. After a clean few minutes of rowing, we had reached the King’s boathouse and were greeted by the NW1 crew cheering us on. Sorry ladies, but no smiles from us today, we had our heads in the boat, and were on a mission. Besides Jacob, who probably glanced over. Another painful few minutes went by, and our minute men Emmanuel were in our crosshairs. Roars from the bank party spurred us to catch them. “You’re gonna take them on the reach!” wailed a hopeful men’s captain. But it wasn’t hope driving us today. As sure as it was spoken, we pulled level to Emmanuel at the P&E; our legs were burning, but we knew what needed to be done to take the medals. Calls from the cox drove us on, “POWER ONE, POWER FOUR, POWER SIX, POWER TEN” with each of the four calls that Jacob managed to get into the “power ten”, we put more distance between the two boats. 500m later and we crossed the line. All the outings, ergs and preparation had paid off, and we finished with a very respectable time of 10:12.8. Sadly, it was not enough for us to take the victory, or even beat our rivals “Stay on your side” Caius, but finishing 5th out of 69 was still a result we could be proud of. Bring on Bumps. 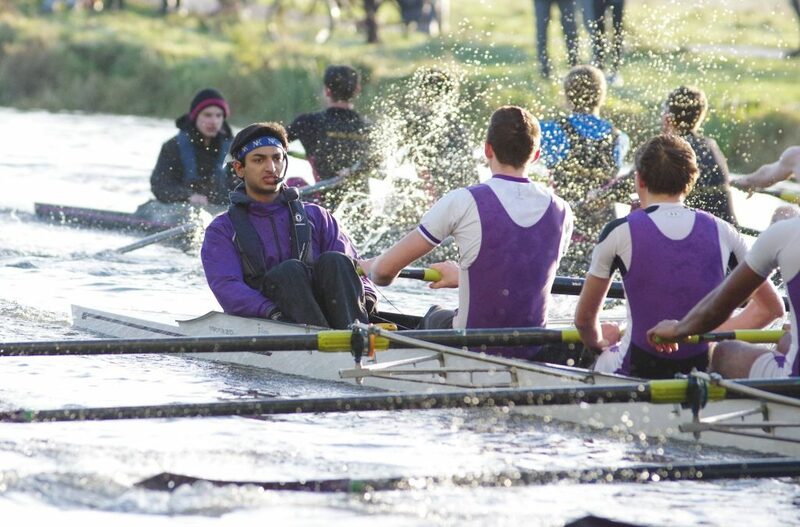 This was to be M1’s 3rd race of Michaelmas, having had our noses bloodied in both Autumn Head and Uni IVs the crew was eager to demonstrate the progress we had made on the water and land. Our row up to marshalling was marked with a particularly punchy start so spirits were high as we pulled in to enjoy the parade of off cam crews rowing down. As second boat off in the division the start line was crowded but we were not overawed by the occasion and held our nerve off the start and quickly settled onto a lively rhythm down First Post Reach. Some especially fiery calls from the coxing seat saw us swiftly through the corners and onto the expanse of The Reach. Despite a solid first half we were being pursued by a very strong Downing VIII who managed to close the gap along the straight, we largely held them off over the second half however, coming under the railway a lack of experience showed and a slight faltering of concentration showed entitling them to the racing line. Some fearless coxing took us within a hairs breadth of blade clash but the crew held together and stayed hard on the back of Downing to the finish. This race again showed strong progress from a still very inexperienced King’s crew, despite still being off the pace of the other colleges we are becoming more competitive with each race. Fairbairns awaits, the main event of term to really show how far we’ve come. We started on a bright and frosty morning, an early rise on a Saturday ready for King’s M2 to take on Winter Head, our second race as a crew. Since Autumn Head we have improved in leaps and bounds and were feeling good about tackling this one and pushing for a good time. This was also our first race in the notoriously-hard-to-sit boat – The Turing Machine. We set out at 7.45am from the bank and were in place at the motorway bridge 15 minutes later. This run down to the bridge allowed us to build on our rhythm and balance and set a solid platform for the race. After a crowded spin and some rearrangements, we were off. Up to rate before the motorway bridge, we were running a slick operation, with the boat better balanced at speed we were able to get up to a rapid rate. With Emma M2 in front we pushed to gain some ground on them and managed to close the gap somewhat, but their huge head-start at the start was too great for us to make much headway. To our rear we watched as a city club boat became more distant, but their constant presence spurred us on. We raced passed the finish line with a time of 9.55, a good respectable time for an M2 boat and the satisfaction of greatly improving on our time on Autumn Head. Overall our form was looking good, with our balance greatly improved and showing through the race, particularly around the bottom of the reach, it was clear that our training had paid off. However, there are still gains to be made and ways we can improve greatly before our next race, which we will tackle full on! 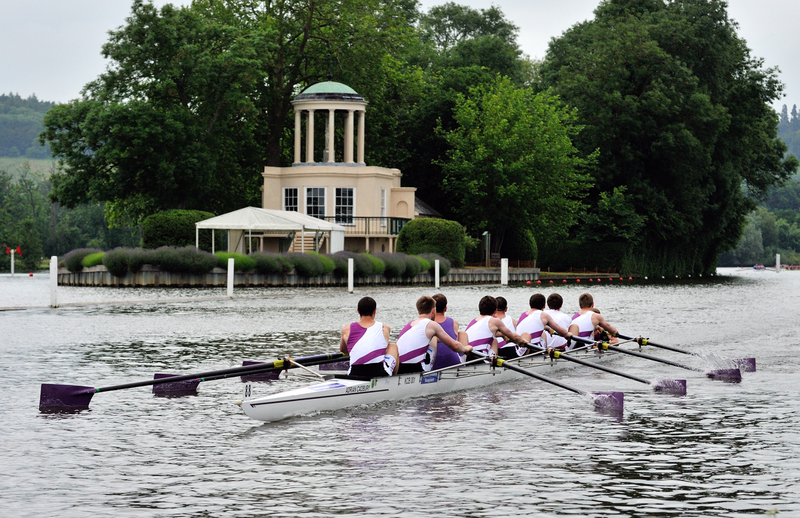 Preparation for Uni IVs was less than ideal – with each crew only having four outings before the racing began. 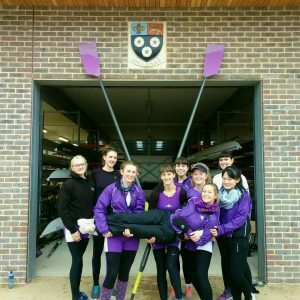 It is fair to say that it was not our main focus of term, but we still wanted to be competitive – especially M1B, who were entered in the 2nd Division. King’s M1A were drawn against St. Catz in the first round, who beat us easily. After a solid start, we lost the race in the corners – going wide around First Post Corner, and then stroke had to take the run in order to get around Grassy. 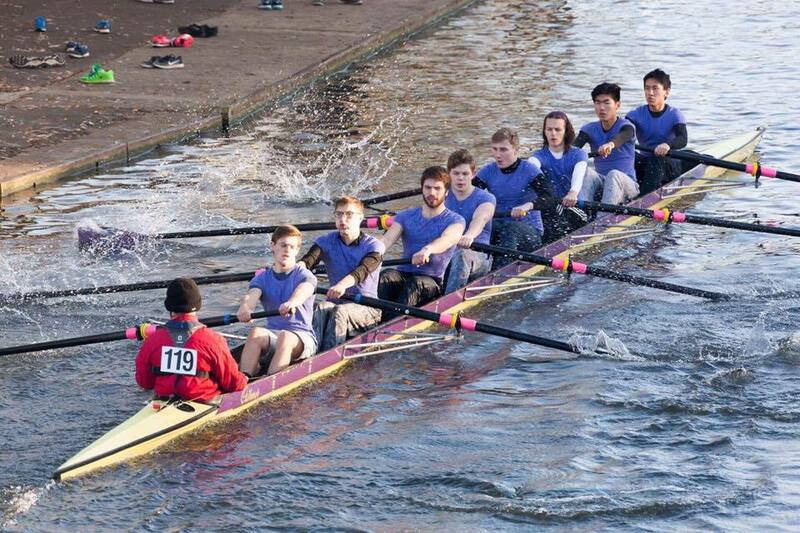 King’s M1B were drawn against Queens’ in the first round, who beat them by 26s. All in all, a disappointing result, but a useful experience. For many of the crew, it was the first time they had raced in IVs. Looking ahead, this will form the foundation of future IVs work in Lent term and out of term. M1A: Lachlan Jardine (Stroke), Lewis Couch (3), Neil Paul (2), Hans Verschueren (Bow). M1B: Daro Nakshbande (Stroke), Siggi Martinsson (3), Abhinaba (Josh) Guha (2), Jacob Toop-Rose (Bow). King’s M1 commenced Michaelmas term with no more than two members left from the previous crew for May Bumps. After barely two full weeks of outings we entered Autumn Head as a benchmark to work from towards the milestones of the coming term (Uni IVs, Winter Head and Fairbairns). Smith’s coaching throughout the preparatory outings had emphasised work on the finishes. Higher rate work, however, was still a novelty for this newly configured crew. This did show quite quickly after we did a rolling start and wound up to about rate 32 just under the Motorway Bridge. 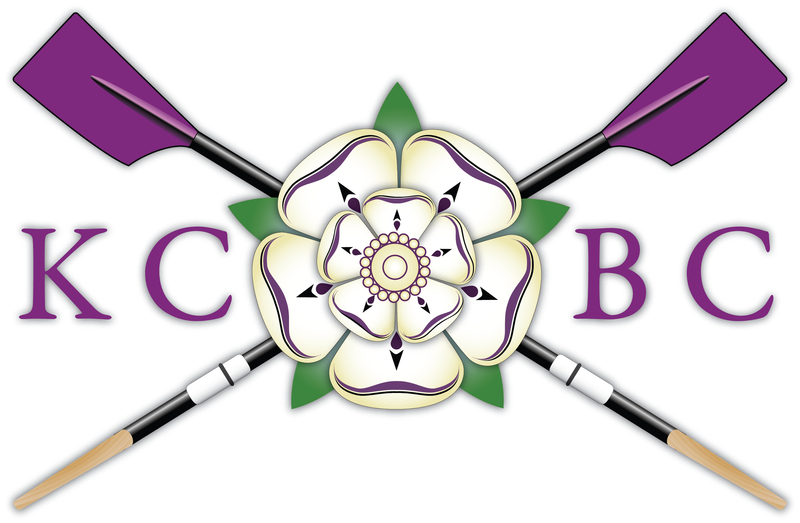 Our decent start followed by a good two minutes of quality rowing soon started showing symptoms of a lack of rhythm and relaxedness which had characterised the performances of previous King’s crews before us. The nice pace and platform we had established during the marshalling and race warm-up simply did not translate and hold over time. While we were more or less aware of this from the start, the fact that Robinson M1 overtook us by Ditton Corner definitely indicated that mental toughness could potentially be improved on as well. 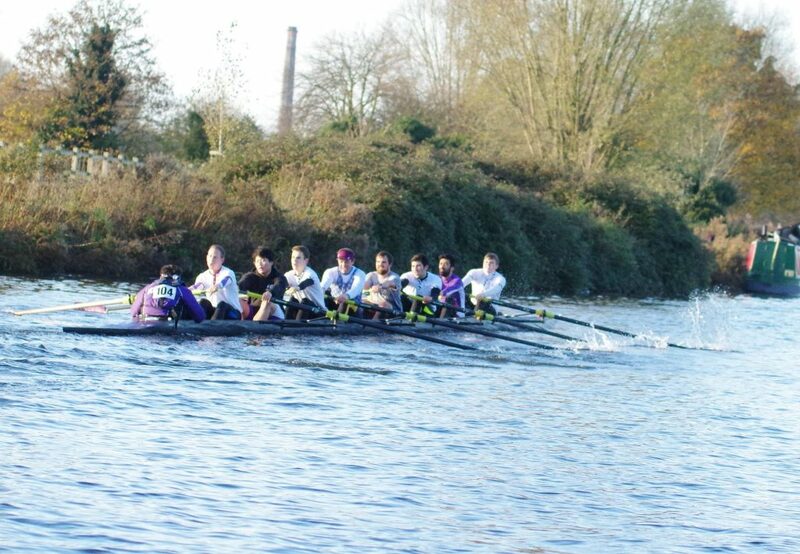 With a time of 10 minutes and 23 seconds, King’s ended last of the College M1 crews competing, and saw Downing finish one minute and twelve seconds before us. Considering, however, the great differences in the crew composition and the marginal amount of outings preceding this race, one cannot conclude but by recognising the great potential and dedication this crew demonstrates, which will undoubtedly produce significantly better results as the term progresses!